With a satisfactory smile, this lion headpiece awaits a new kingdom to watch over. His stately stature demands respect. Fierce in his pride, he wants you to know he has the strength to safeguard your endeavors, are you going to accept his challenge? Outfitted for the play The Great Auk, this animal mask can worn on top of the head or displayed proudly. A carnivorous appetite for more may inspire in you to reach for new heights. Let it. 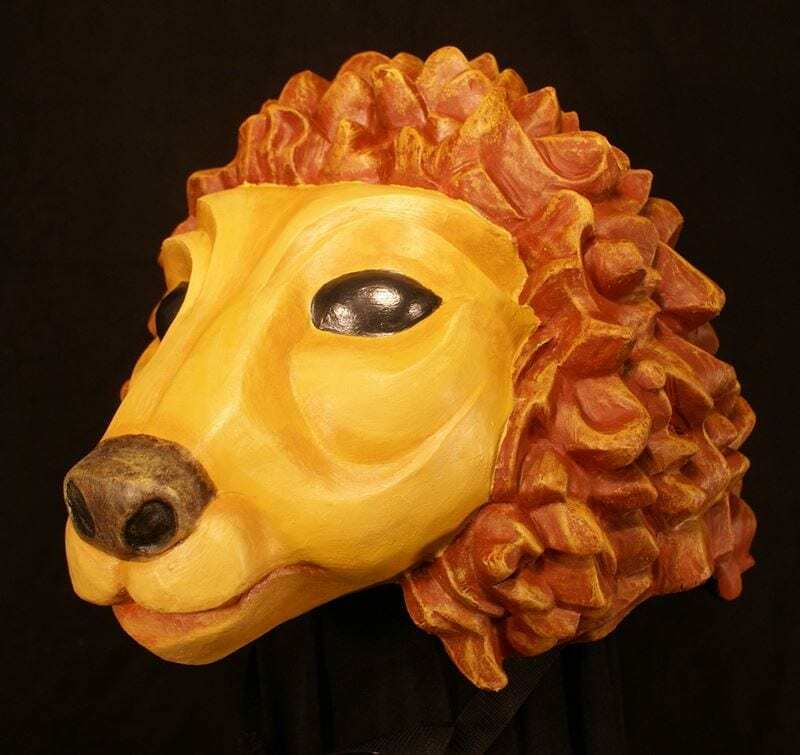 Order your very own majestic cat or have your own wild dreams brought into reality by Master Mask Maker Jonathan Becker today. This mask is worn on top of the head revealing the actors face to the audience.